Sony has officially announced that PlayStation All-Stars Battle Royale has now gone gold. The game will be on its way to retailers for its November 20th release date. Today we’re officially unveiling the opening cinematic sequence to the game. We’ve been pretty tight-lipped about our final boss, but if you hang in until the end you’ll get a glimpse of the villainous mastermind that’s returned from the depths of PlayStation history to pull the strings in All-Stars. That mastermind is none other than Polygon Man. Back when Sony was marketing the original PlayStation for release in North America, Polygon Man was the shortly lived mascot for the console. He didn’t take to well to the masses, and Sony wound up scrapping him entirely before the official launch of the console. 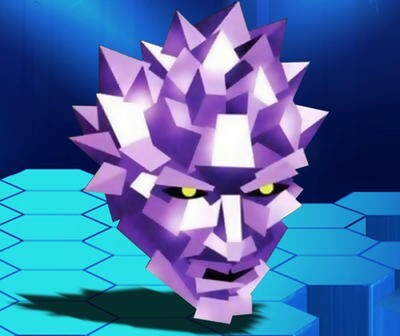 And, yes, if you’re still part of the crowd drawing similarities between PlayStation All-Stars and Super Smash Bros., we suppose it’d be pretty easy to compare Polygon Man to the Master Hand.